My Little Pony Arena » Forums » Creativity » Pony Art » Woah! Christmas Art? For Me!?!?!?!? 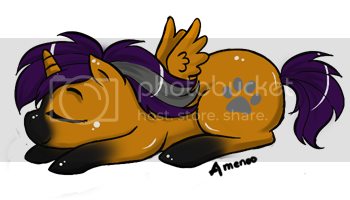 Forums » Creativity » Pony Art » Woah! Christmas Art? For Me!?!?!?!? Woah! Christmas Art? For Me!?!?!?!? Posted: 0 Post subject: Woah! Christmas Art? For Me!?!?!?!? I can't believe how awesome y'all are. Well, I can, but I didn't think I'd end up with some of that awesomeness on me. Thank you so much y'all! It really does warm my heart. You helped with the magic of the holiday season and the new year! I am grateful to be a part of such an awesome group of artists. Posted: 0 Post subject: Re: Woah! Christmas Art? For Me!?!?!?!? Ooooh awesome! Looks like you are having a very TAF christmas. Do you know anything about the mystery artist? Was there a return address? Maybe we can narrow it down by the state! Just a return address in Ohio. The art looks familiar to me! That's why I keep thinking I should know it. Its fun though! I really wanted to give all swappers I've had a christmas gift. I ended up with one instead! I wish I could claim ownership of the cards!! I really wanted to do one but I ran out of time before having to go out of town!! Merry late xmas though!! I know, right? Every month I'm excited to see who I get stuff from. Y'all are all SO GREAT that never disappointed. I wanted to send everyone a Christmas pony gift myself. There is a question, do you think if I sent a print, it'd not be good? I think "limited edition" prints wod be very nice and easy for you to do! But dont feel like you HAVE to do that, you know? Ugh there are a LOT of Ohio ponies. I guess I am no Sherlock Holmes. It is cool that both have a red ribbon in it. Maybe that is a clue? Avatar by dippindot. Sig is rotating, please PM for artist info! Awww Taxel don't feel bad. You fit a lot of stuff into that card and I actually LOVE the panels in the background with a little snow on top. Oh believe me, I am. AmberMarie's was my second ATC and third pony drawing in like 7 years (and even back then I wasn't good, lol). I know its not that great, hahaha.